3/20 - Soft cover of Against All Odds is released. 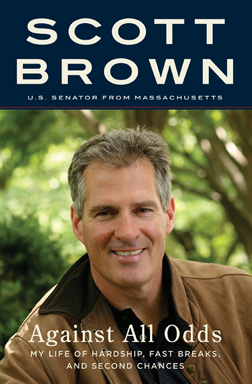 3/25 The Washington Post: Book Review: What lies ahead for Scott Brown? 2/26 Boston Globe: Brown takes book tour to Reagan Library in Calif. Copyright 2011 Harper Collins Publishers. All rights reserved. Developed by Swiftkurrent, digital marketing done right.